Below are some videos of Penny Okamoto of Ceasefire Oregon at an recent Washington County Public Affairs Forum. As usual Okamoto displays an astonishing ignorance of the subject of firearms. See if you can keep track of the more ridiculous comments. Good luck. 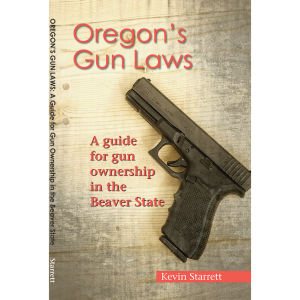 Oregon Firearms Federation did not shoot or produce these videos, but we would like to thank the person who did. Penny Okamoto says “Gun Free Zones ” don’t stop criminals. But she wants them of course. Also compared firearms to land mines. Here Okamoto displays her paranoia and claims gun makers “incite fear” and that gun owners were trying to “intimidate” her at a recent pro-rights rally, in spite of the overwhelming number of cameras and reporters who were there and saw nothing of the sort.